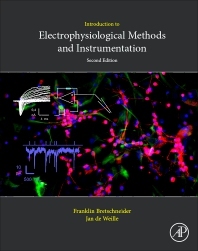 Introduction to Electrophysiological Methods and Instrumentation, Second Edition covers all topics of interest to electrophysiologists, neuroscientists and neurophysiologists, from the reliable penetration of cells and the behavior and function of the equipment, to the mathematical tools available for analyzing data. It discusses the pros and cons of techniques and methods used in electrophysiology and how to avoid pitfalls. Although the basics of electrophysiological techniques remain the principal purpose of this second edition, it now integrates several current developments, including, amongst others, automated recording for high throughput screening and multimodal recordings to correlate electrical activity with other physiological parameters collected by optical means. This book provides the electrophysiologist with the tools needed to understand his or her equipment and how to acquire and analyze low-voltage biological signals. 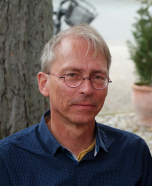 Dr. Bretschneider is a neurobiologist, currently as guest researcher at Utrecht University (Utrecht, The Netherlands). His research over the years has focused on the field of sensory physiology of aquatic animals, and teaching on sensory physiology and electrophysiology. His current lab interest is in bat research, with recording methods and instrumentation as a main focus. Dr. de Weille has been an Assistant Professor at the Institut des Neurosciences at the University of Montpellier. His research, carried out at the Universities of Nice and later Montpellier, was centred for many years on the pharmacology of ion currents. He developed interests in molecular biology and fluorescence imaging. He has been a consultant with a cancer pharmacology start-up, Beta-Innov (Paris), until his retirement.